There are many words on food labels that could actually be covering up for gluten. If you are having trouble overcoming health challenges despite switching to a healthy diet, it could be trace gluten that is throwing you off. Worse yet, if you have full-blown celiac disease, avoiding gluten is a must. It’s important to know which ingredients could contain hidden gluten and how to read labels and menus to ensure you don’t get exposed. Avoiding wheat is one thing, but did you know there are many other grains that contain gluten? The form found in wheat has been found to be the most damaging, but other foods contain similar proteins that can also irritate your gut lining and cause an autoimmune reaction. A 2007 study published in the Journal of the American Society for Clinical Nutrition found that gluten exposure for people with celiac disease should be kept below 50 mg per day in order to prevent clinical relapse, even in participants who had been consuming a gluten-free diet for more than two years. It’s important to note that one patient in the study experienced a relapse with an exposure of only 10 mg per day. If you consider that a regular strength ibuprofen tablet contains 200 mg, a miniscule amount of gluten can have a damaging effect. Malt vinegar — but balsamic, rice, wine and apple cider vinegars are naturally gluten-free, as long as they do not contain any other additives. Check the label. Some household and personal care products also contain gluten. Keep in mind that you should read the label each time you purchase a product, since ingredients of processed foods often change. You never know if the next time you purchase something it might have barley malt or modified food starch added to the list. Maltodextrin — this is made from corn or potatoes in North America, but maltodextrin from other countries may be made with wheat starch. Modified food starch — almost always made from corn, potato or rice in North American-made foods, but foods from other countries could contain starch made from wheat. Caramel color — frequently made from barley, but only outside of North America. North American companies use corn to make caramel color. As a final note, be aware that labels stating the product has been “specially processed to remove gluten” can still contain up to 20 parts per million (ppm) of gluten. This is indeed a tiny amount but may be enough to make sensitive people sick. If this all sounds overwhelming, just remember to stick with whole, unprocessed foods! These are more nourishing than any packaged “gluten-free” foods anyway. Wondering if you should avoid gluten? Read more about gluten sensitivity. Next articleCould Your Diet Be Hurting Your Fertility? 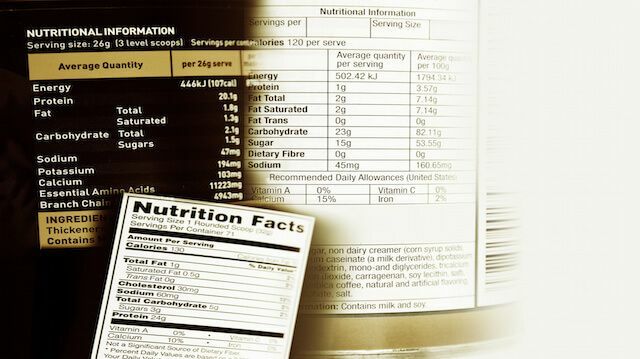 Hey Buddy!, I found this information for you: "Reading Labels: Is It Really Gluten-Free? Code Words for Gluten". Here is the website link: https://www.thealternativedaily.com/gluten-free-code-words-labels/. Thank you.